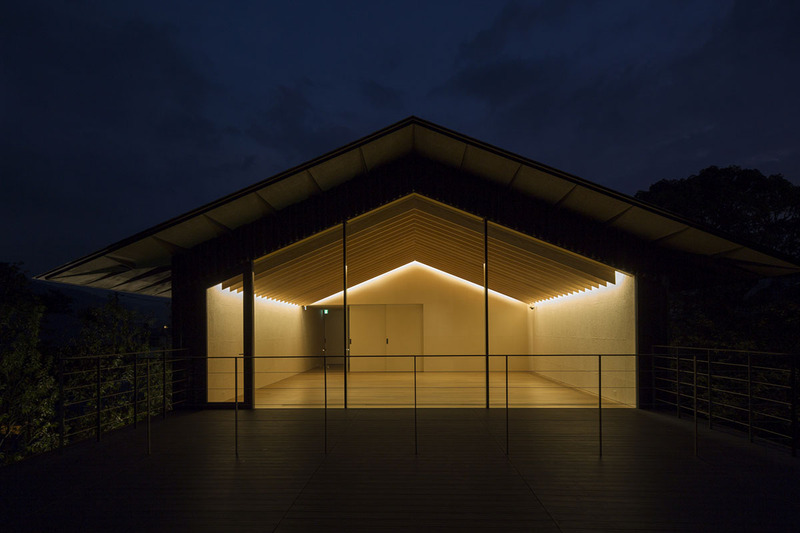 There is a small museum for contemporary art, near a famous hot spring resort in Kyushu which has fostered a unique local culture in the nearby town of Yufuin. 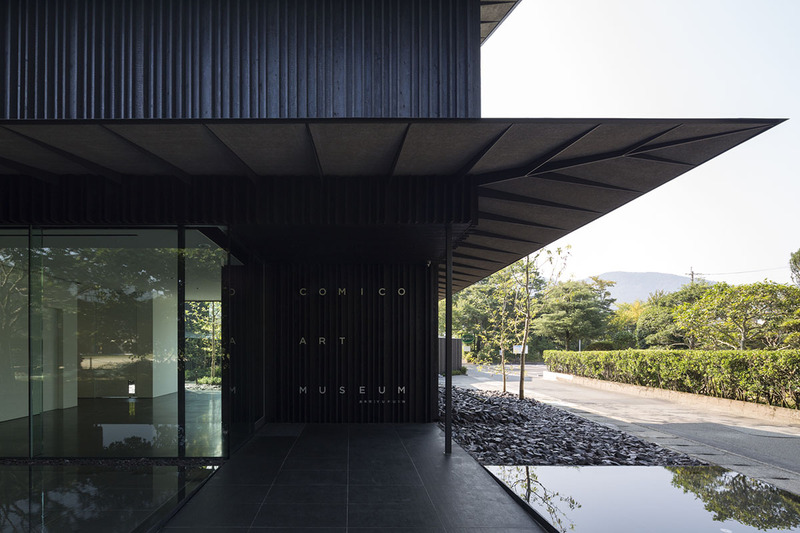 In order to highlight the thickly forested mountains which frame the Yufuin basin and thus the art work exhibited in the museum, we covered the building with yakisugi (charred cedar). 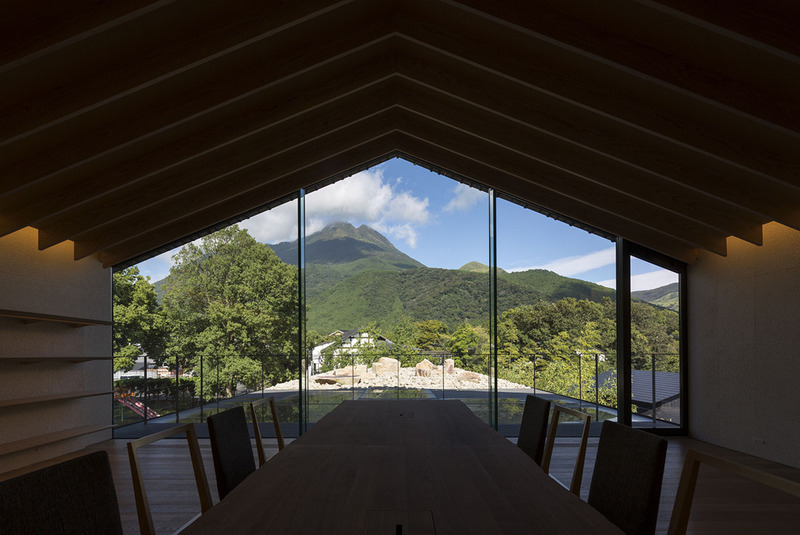 This is a treatment in which we carbonize the surface of a cedar panel, resulting in a much more durable material. 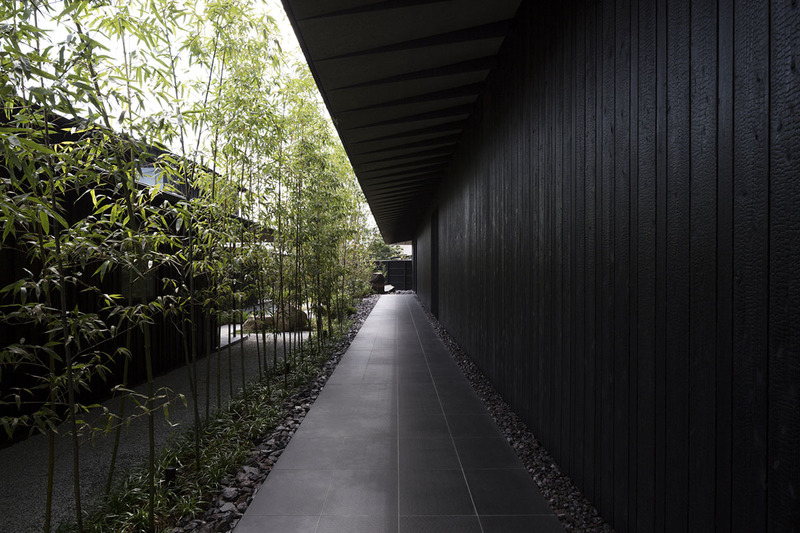 Yakisugi has been commonly used on the exterior of buildings, particularly in western Japan. 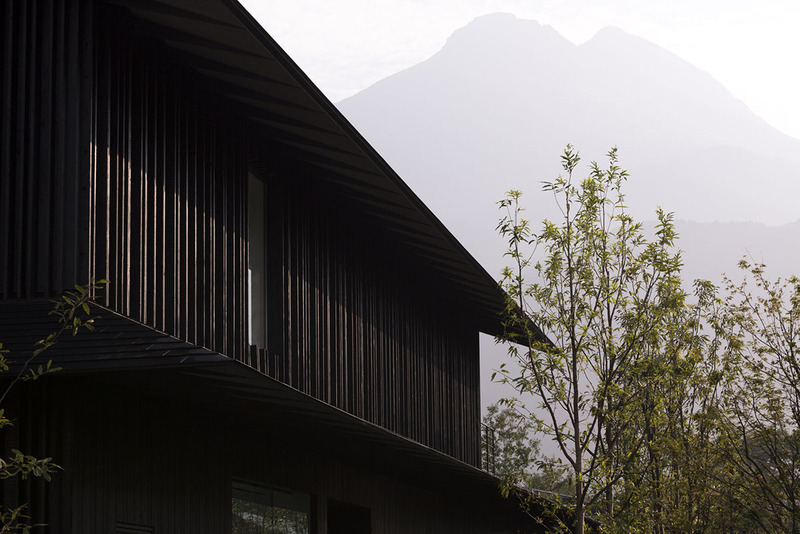 The structure appears as a deep-black volume from afar, but moving closer reveals the warmth of the wood and a unique scaly pattern of the cedar. 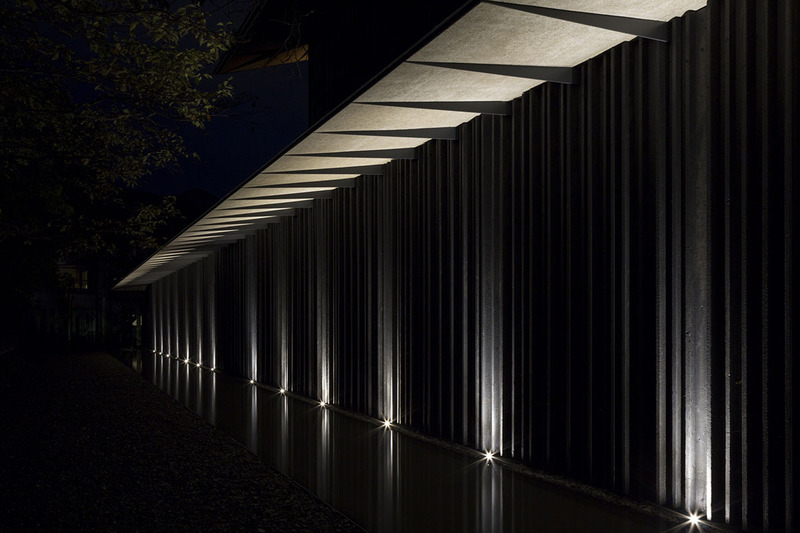 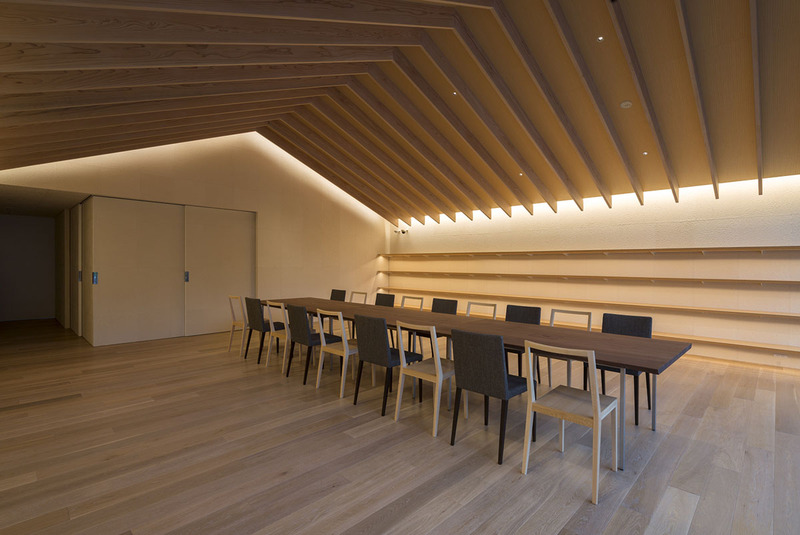 By rowlocking the cedar panel randomly, the wall (with a height exceeding 40m) was given a strong rhythm, harmonizing with the townscape of Yufuin. 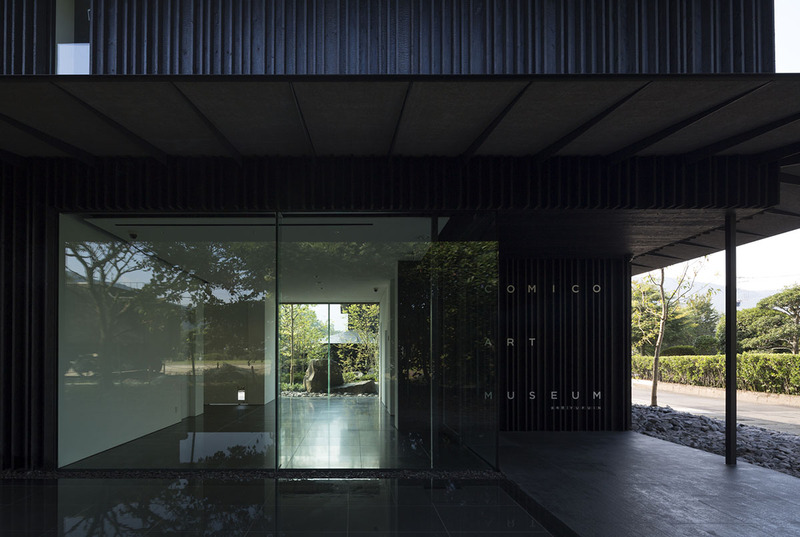 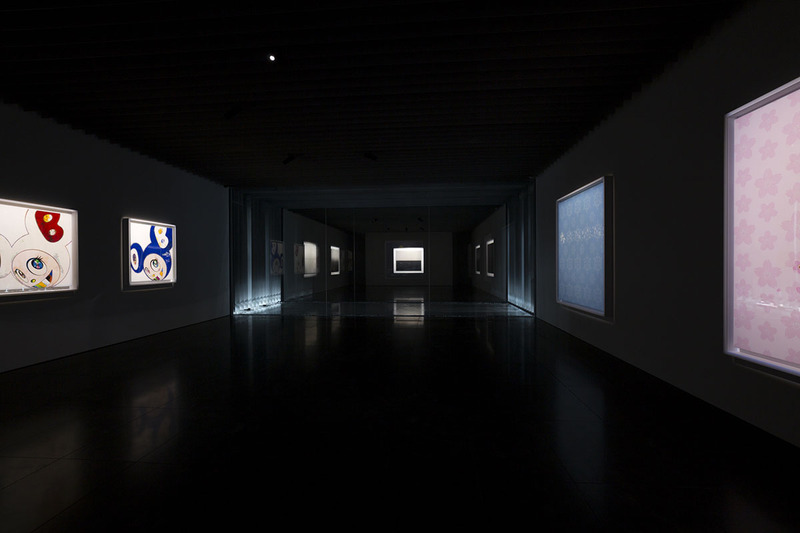 The two facing exhibition rooms seem to observe each other over a shallow pool which extends from the exterior. 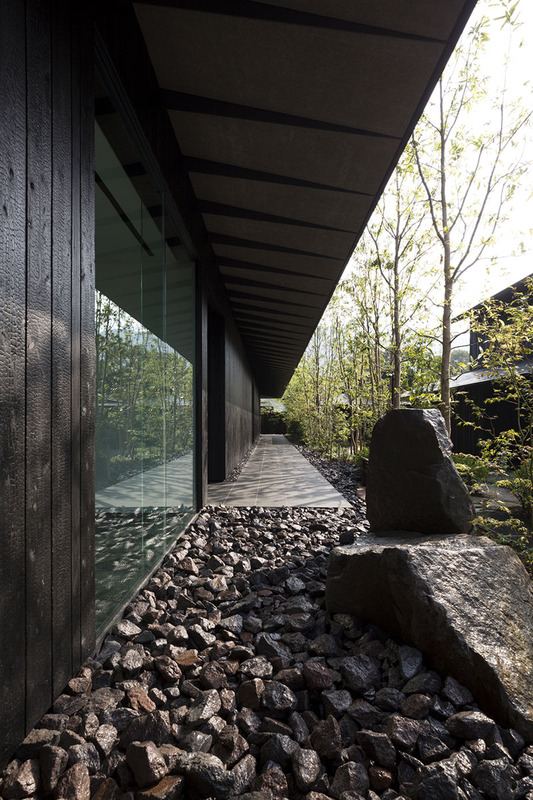 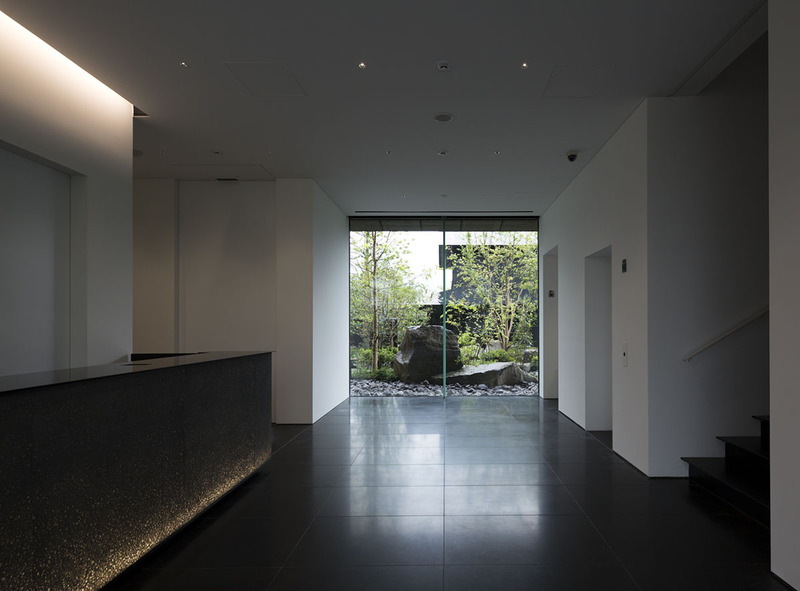 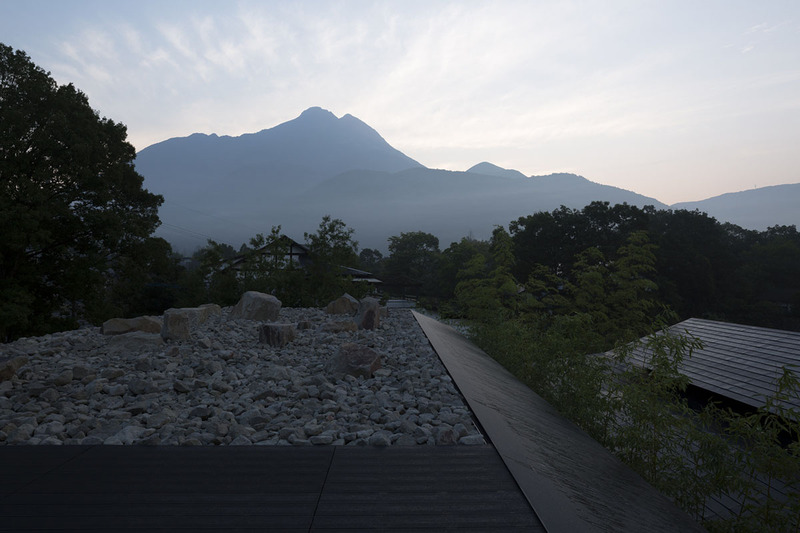 To provide a contrast with the two minimally finished volumes, the lounge on the 2nd floor is wrapped with wood and washi, while the dry landscape connected to it is arranged as a garden for contemplating the noble presence of Yufu-dake (Mount Yufu).